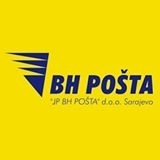 BH Post can arrange EMS International post items up to 15 kg’s in Bosnia. EMS ‘Express Mail Service’ is a cost effective and fast delivery network that utilizes Worldwide post office’s and their delivery service. Visit website or call a customer service person for more details on tracking, delivery, drop off times, mail post sizes and general inquiries.